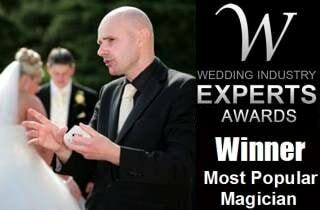 David Fox frequently performs his special brand of magic at many of Nottingham's most prestigious wedding venues. Party Magician David Fox can entertain your guests in the comfort of your home or at any venue in Nottingham. Magic will add flair to any corporate event. David frequently impresses at functions in the Nottingham area. Are you seeking something truly unique for your next special event in Nottingham? 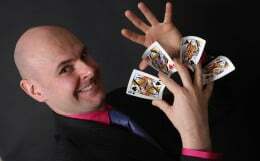 Magician David Fox is perfect for your event in Nottingham. Your guests will be amazed and David's magic will ensure that your wedding, party or corporate event is a resounding success. 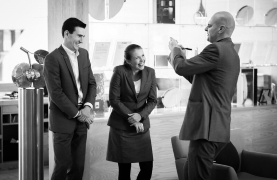 David's close-up magic is sensational and he is a proud event supplier for venues such as Harts Hotel, the Walled Garden and the Village Hotel, and for large companies like Capital One. Make your next big day in Nottingham one to savour with Magic Circle master David Fox.